5 Best MovieBox for iPhone & iPad – Hello guys, today I’m going to show you 5 best MovieBox for iPhone & iPad that you can download from the app store for free. as you probably know by now movie box the famous movie app has been shut down nicely and a lot of people are searching for alternatives. so here I will show you five apps that you can get from the app store for free. Actually, Movie box was a third-party app and Many iOS users are using third-party Movie app on their device. but we can’t download every Movie app without jailbreak and as we all know that if we jailbreak our iOS device then there are lots of disadvantage of jailbreak. So in my opinion, the jailbreak is not good for the iOS device and especially for the new device. because if you jailbreak your new device then you will be lost the warranty of your device. Actually, we have a lot of official MovieBox for iPhone & iPad that we can download directly from the app store. but I don’t know why people like third-party Movie app. 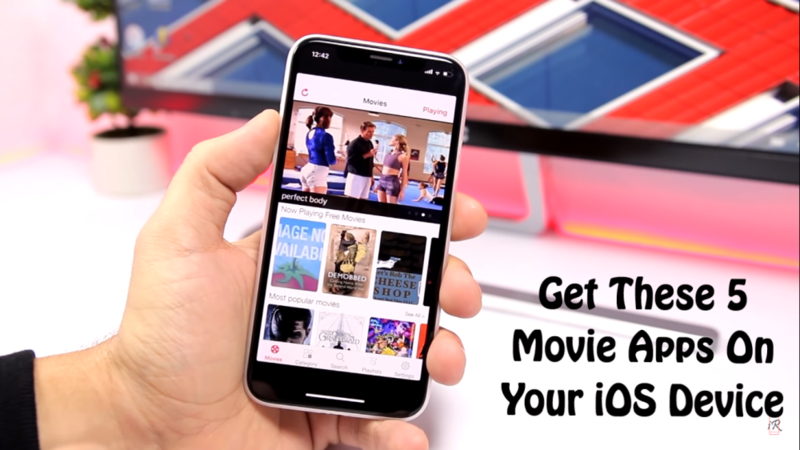 Guys, these 5 MovieBox apps that I’m gonna show you in this article, is the best and free and I recommend you to use these MovieBox apps at least once. so now let’s go further and have a look at these MovieBox apps. Big movie, this app has been on the app store for quite some time. but the only thing I don’t like about it is that the UI of the app is not updated for the new iPhones. This is still an old UI. but either way, the app is pretty awesome. if you open it then you’ll see the home screen of the app and you will have there some featured movies, some popular movie, and also you will have different categories and of course a search bar to search for any movie that you want. it’s a really awesome app and of course, you can download it for free. HDX online is another one, which is really really awesome. it has a pretty nice UI and if you open it then first you will have the home screen then you will have the hot movies and also different categories and you will have your favorite movies. If your favorite movie will be there and at the top, you will have a search bar to search for any movie that you want. to play a movie just go ahead tap on it and click on watch movie. of course, it will show an ad. because it’s a free app and once the ad is done then it will start playing the movie right away. Phim hay, this is another one. its a free app of course and it looks pretty cool the UI is really nice and it has a lot of movies. but the only downside of this app is that is on Vietnamese I believe. so basically what you need to do is just go ahead and search from the given search bar for any movie that you want. That’s the easiest way to use this app. so wanna play a movie just tap on it and just tap on the blue button and then the movie will start playing. Cinema time is another one I have shown you guys this before. this is by far my favorite out of these fives. so if you open it then you will have the home of the app and also you will have the search bar right there to search for any movie that you want. you will have upcoming and also you will have your watch list right there. So you will have there a few featured movies, you will have top movies right there. if you wanna play a movie just go ahead top on the targeting movie and then tap on the red button. it will show you different links, from where you can stream the movie. Just go ahead tap on the one you want and wait for the ad to finish and once the ad is finished. it will load the movie. Tubi tv, is another best movie app and if you open it then first you will see the home screen of the app and you will have different tabs on the home screen. you can browse different categories or you can go ahead and search for a movie that you want. If you wanna play a movie then just go ahead tap on it and then you will have a play button so tap on it and then the movie will load right away. So that is it for this article guys. these are the top five MovieBox for iPhone & iPad that you can download from the app store. all of these apps are free. thank you guys for reading. hope you like this and if you like then please don’t forget to share this and also visit daily on this website for more articles. now we’ll see you guys on the next one.